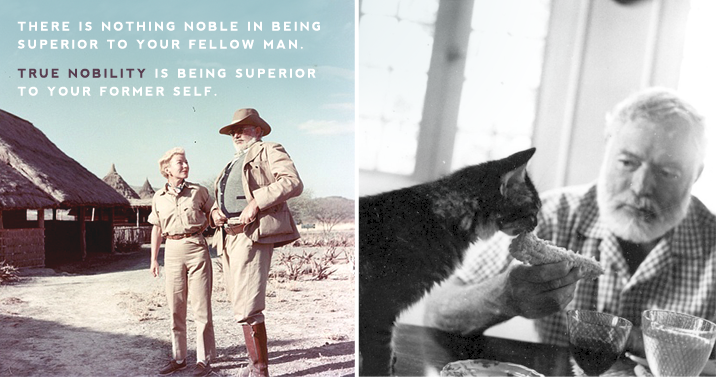 Today would be the 115th birthday of american author Ernest Hemingway. His novels were a source of inspiration for many films, some of which the following: A Farewell to Arms (1932), For Whom the Bell Tolls (1943), To Have and Have Not (1944), The Killers (1946, and 1964), The Snows of Kilimanjaro (1952), The Sun Also Rises (1957), The Old Man and the Sea (1958), and Islands in the Stream (1977). I saw a couple of them while going through my Gary Cooper phase (not so much a phase as a life-long affair, but let’s not be dramatic); and To Have and Have Not is actually in my List of Shame, so that should be checked soon enough. I’m still warming up to Bogie, that’s what it is. In the graphic above is one my absolute favourite quotes from him; a way of living that has always been a part of who I am. 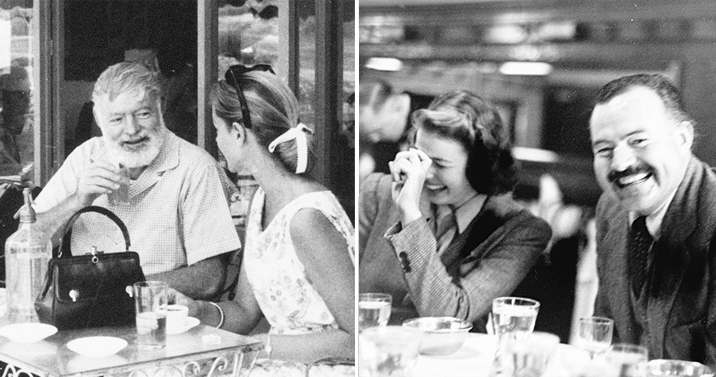 Below are a couple pictures of Hemingway with two great actresses from the classic era of hollywood, Lauren Bacall (left) and Ingrid Bergman (right), who also starred in movies inspired by his novels. What’s your favourite novel, film or quote inspired/by Hemingway? oh man, it’s really not easy for me to like Bogie, it’s sad. But I’ll give it a try of course, eventually.